Home / Build Muscle / How Much Protein Do You REALLY Need? Protein is not only important for building muscle, but also general health. If we don’t get enough from the diet, our health and body composition suffers. But how much do we really need? 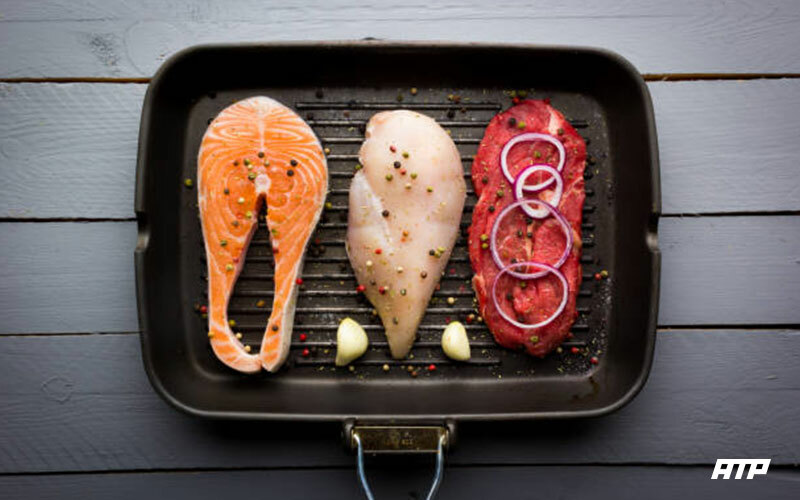 What types of protein should you eat? People who are weight training will need more protein than the average person who doesn’t weight train, it’s the only way they will be able to recover from the high-intensity workouts they put their body through on a weekly basis. Research suggests that 0.68-1 grams per pound of body weight is a sufficient amount of protein for a natural athlete. So if you are 200lbs you would want to hit around 136-200 grams of protein per day. If you are overweight, you will want to calculate your lean body mass first and use that to calculate your protein intake. You should aim to hit this with whole foods and use whey protein shakes sparingly, especially when looking to build muscle. Nothing beats whole food. That being said, if you are looking for a quality whey protein, I would check this out. © 2019 AchieveThePhysique. All rights reserved.